He is Full Professor of Linguistics at the Federal University of Minas Gerais, with a BA’s degree in Arts and Philosophy (1988), and a PhD in Modern Philology from Naples University ”Federico II” (Italy). He has been visiting fellow at the Federal University of Rio de Janeiro and at Florence University (Italy); Teaching Assistant at UCLA (1988-1990); Adjunct Professor at “Istituto universitario Orientale” at Naples (1993-1996); Associate Professor at Venice Univesity “Ca´Foscari” (Italy) from 1996-to 2004; Associate Professor at UFMG from 2004 to 2013. His research interests span between philology and historical linguistics, Italian, pragmatics, textual linguistics, spontaneous speech studies and corpus linguistics. His current research focuses on the compilation of Brazilian Portuguese spontaneous spoken corpora, and on the corpus-based analysis of information structure and illocutions. 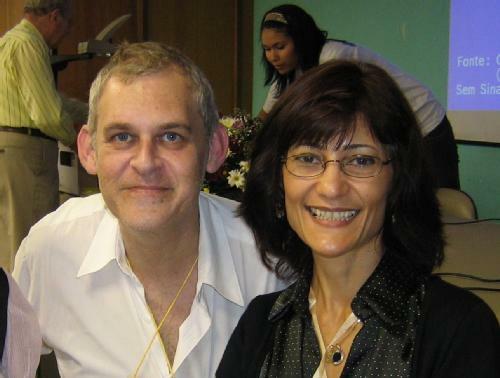 He coordinates the C-ORAL-BRASIL Project and, together with Emanuela Cresti, coordinates the international partnership between UFMG and Florence University, for the compilation and study of cross-linguistic spontaneous speech corpora. He is a fellow of the Programa Pesquisador Mineiro and a CNPq researcher, besides referee of the main Italian and European research programs. Curriculum vitae at Lattes platform.